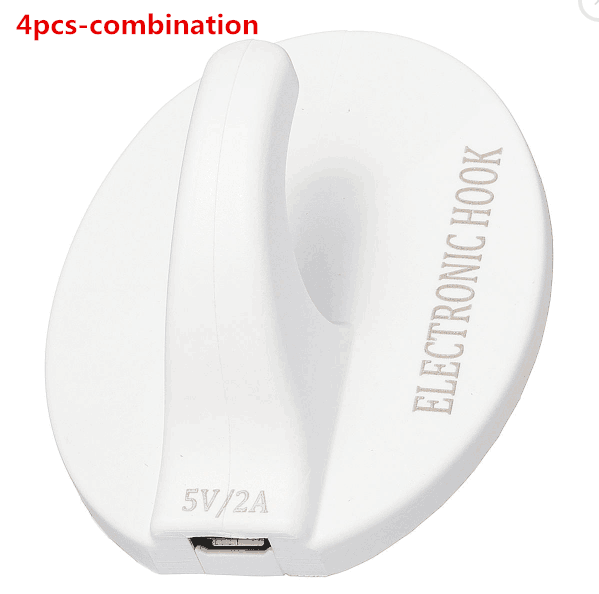 Successfully Added CS05 Electric Hook - 4PCS, USB Hot Glue Adhesive Hook, 5KG Reusable Hanging Hook, None-stick Hot Glue USB Charging Hook to your Shopping Cart. - [ Hot Gue Adhesive ] : Because it is glued with hot melt adhesive, it can be melted by heating. There is no need to worry about the traces on the adhesive surface. It is very easy to clean. - [ Two Replaceable Hot Glue Attach]: The product has two replaceable hot glue adhesives to the back of the electric hook. - [ Up To 5KG Hanging ] : If the surface is smooth enough, the load capacity of the hook can reach 5kg, which is very durable. 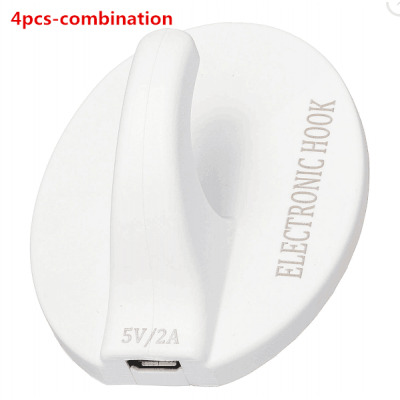 - [ Repeated Using Many Times ] : This hook can be detached by melting the glue, and then it can be reused elsewhere, without worrying about damaging the wall. Safe and environmentally protect . The Unit must be applied with 2A USB cable. Using other USB may cause failure and falling of the unit. When inserting the USB, LED will be on, and the glue will be hot. Don't touch the glue directly, if you want to remove the hook, please touch the front surface of the hook.